Nathanael Chawkin works with CEOs and their teams to create cultures of continuous coaching and feedback through the ongoing team practice of leadership. A seasoned OD consultant, executive coach, martial artist, and mindfulness meditation instructor, Nathanael's practice-based approach has helped hundreds of executives from growth-minded, midmarket companies traverse the path to their next level of leadership development. He received his BA from Maharishi University of Management, and MA in Integral Psychology & Coaching from JFK University. He earned his 2nd degree blackbelt in Aikido in 2005 while serving as the Senior Director of an internationally renowned uchideshi (live-in training) program, and is a purple belt, medal winning competitor in Brazilian Jiu-Jitsu. He founded Integral Martial Arts, a blend of eastern art & western sport, to coach human performance both ON & OFF the mat, in 2011. Joseph Friedman has over forty years of experience consulting and coaching individuals and organizations in communication effectiveness, leadership, high-performance teamwork, strategic planning and execution. He has delivered consulting, coaching and educational programs in Africa, the Caribbean, Japan, India and Canada as well as within the United States. After co-founding the global consultancy, JMJ Associates in 1987, working primarily in the oil and gas industry, Joseph shifted his focus to designing and leading large-scale organizational transformation processes in hospitals and large healthcare systems. He has had extensive experience coaching and guiding the development of Senior Executives in these and other industries. Beginning in 2001 Joseph was privileged to design and conduct leadership development programs for the United Nations in Africa and the Caribbean to enable men and women to mobilize their organizations to respond to the AIDS epidemic in their countries. Following his UN work, Joseph returned to JMJ as the Director of the JMJ Academy – a global training and development function. Since completing his work at JMJ in 2015, Joseph has been designing and delivering programs of Reckoning, Reinvention and Renewal for individuals, relationships and organizations as well as mentoring and advising leading-edge consultancies. Barry Rellaford’s great work is to help people discover, express, and fulfill their great work. His vocation of awakening people to purpose began in his youth in Paradise, California. From high school (where he engaged the student body as varsity mascot), through his undergraduate degree in Human Resource Development at BYU, and on to a master’s degree from Ohio State’s business school, Barry continues to engage and enlighten everyone he encounters. Barry is the founder of Great Work Worldwide, a consultancy focused on inspiring individuals and organizations to perform meaningful and sustainable work. He is also a co-founder and master facilitator of FranklinCovey’s Speed of Trust practice and co-authored the business fable, A Slice of Trust (Gibbs Smith, 2011). As an international speaker and consultant, he has shared transformational ideas about purpose, trust, and leadership with people from over one hundred countries. His clients include Procter & Gamble, Kroger, Verizon, LEGO, Tulsa Tech, G&J Pepsi Bottling, and the US Army. Additionally, Barry is a Gallup Certified Strengths Coach and facilitator of The Power of TED*. He leads business storytelling sessions in Utah for the world’s largest storytelling festival and conference. His martial arts experience focused on Aikido and its connection to healthy relationships. Barry and his wife, Lorilee, live in the shadows of the Rocky Mountains with their family. Manfred's mission is to support leaders and their teams to implement systems that lead to flourishing individuals and excellent organizations. He provides practical tools and systems that form institutions with a culture of continuous deliberate personal growth - a basis for thriving, agile and economically viable companies. To achieve this Manfred offers his real-world expertise in applied Positive and Behavioral Psychology and state-of-the-art Organizational Development. Manfred's hands-on style bridges the gap between what science knows and what business does – all based on 20 years of experience as a serial entrepreneur and CEO with a vision to find better ways to lead organizations. In addition, Manfred brings 15-years of experience in Japanese Jujutsu and Aikido to his work as a Palæstra coach. He also facilitates workshops in Transformative Mediation, Positive Psychology, Inquiry-Based Stress Reduction and Mindfulness Meditation. Laurie Luh is a seasoned Executive Coach and Human Resources executive with over fifteen years of experience strategically building cultures that focus on the heart of every company... the people. As one of the first employees of Participant Media, Laurie created the entire Human Resources and Operations infrastructure for a company that was the first of its kind. With Participant’s mission to create content that inspired and compelled social change, Laurie took on the role of building a culture that emulated the company’s brand. Under Laurie’s HR leadership, Participant grew from a handful of employees to well over two hundred in multiple locations. Now a successful Executive Coach and Human Resources consultant, Laurie operates as the key business advisor to CEOs and executive teams. Laurie is often utilized to develop strategic workforce initiatives such as: company culture optimization, start-up high growth, change management, leadership development, performance plans, compensation, career development, corporate seminars, retention planning and overseeing talent acquisition. Past and current clients include: Thrive Market, Beautycounter, LACI, Wiredrive, Chanje, Participant Media, and The New Jersey Performing Arts Center. Jordan Santoni brings a diverse background from corporate tech, hospitality and non-profit sectors into his commitment to self-reflective and integral performance management. 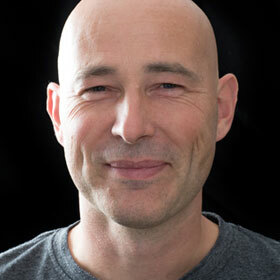 With 10+ years of experience in leadership coaching and effective communication training, he has supported successful corporations and Y-Combinator startups such as Lyft and Zesty, along with non-profit and neuro-tech research organizations like the David Lynch Foundation, SF United School District, UNC-CH and The Digital Detox. Dedicated to transforming operations and culture from the inside-out, his approach delivers measurable impacts in productivity, employee+client retention and growth scalability. He holds B.A/B.S. degrees in International Business, Economics and Spanish from Appalachian State University and Universitat Autònoma de Barcelona. Also, a blue belt instructor from the ASCAB Capoeira Academy in Philadelphia, father and a medaled triathlete, Jordan leverages elements of competition and play as a means for teammates to strive together in building trust and organizational efficacy.